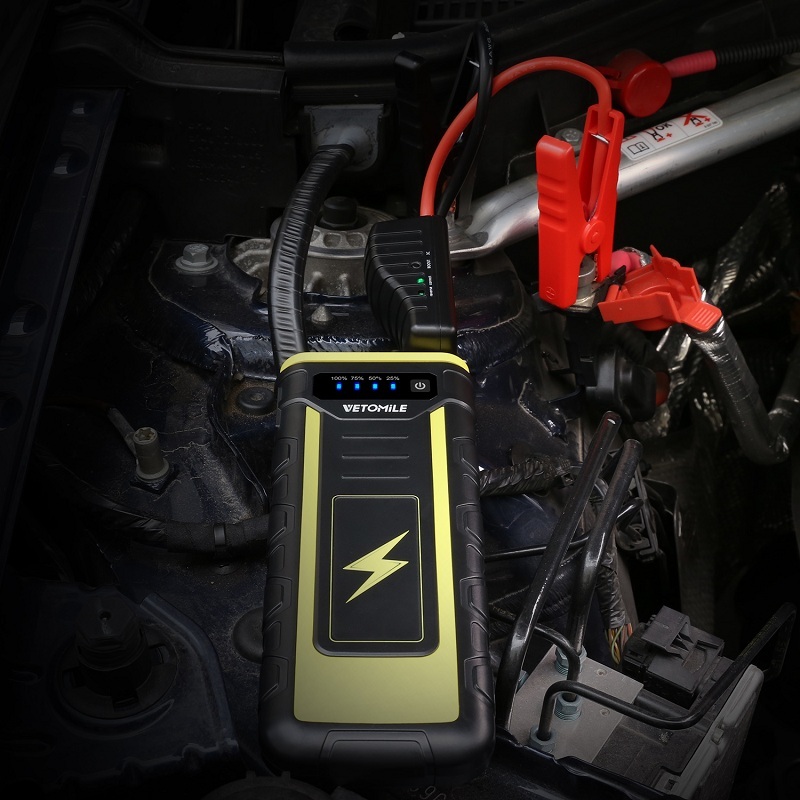 - Pickup truck jump starter: This jump starter will especially jump start pickup truck, 6.5L of gasoline and 3.0L of diesel, with its peak power of 800A and capacity of 21,000mAh, naming Ford 2017 F-150, Chevrolet 2015 Silverado 1500, Dodge 2015 Ram 1500, etc. As well as other cars and all the motorcycle and boat of 12V. It will continuously jump start for bout 40 times once full charged. 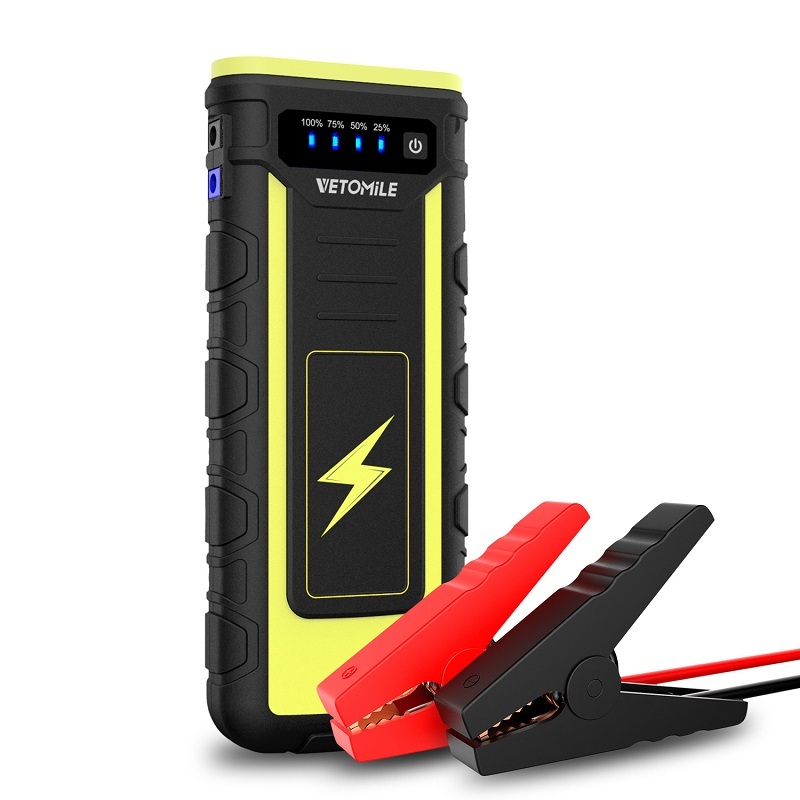 - Power bank: This jump starter will also play the role of power bank. Cellphones can be charged via its dual USB ports(DC 5V 1A/DC 5V 2A), and laptops via its DC 19V 3.5A output port(include 8 in 1 laptop adapters in the package). Also, there is another output port(DC 12V 10A) for other car electronics, like car refrigerator, car inflator and car vacuum. - Smart clamps: Built-in smart protection. You’ll never worry about its reverse charging or connecting together, because it has the function of reverse protection, as well as short-circuit, overload and reverse polarity protection. - LED indicators and flashlight: One LED flashlight and four small battery level indicators. There are 3 modes of the flashlight, strong, strobe and SOS. And four small indicators indicate its battery level. - Portable EVA case: Durable material manufactured space-saving EVA case will keep the unit safe, convenient and portable. 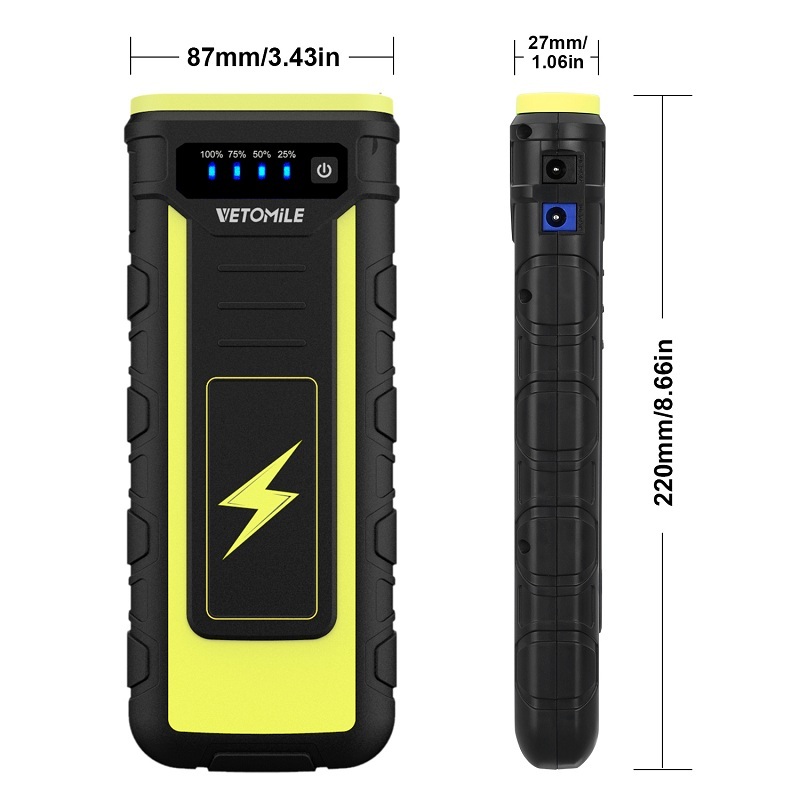 Which inside are one jump starter, one smart clamps, one home charger, one cigarette charger, 8 in 1 adapters, USB cable and user manual, with warranty of 12 months.